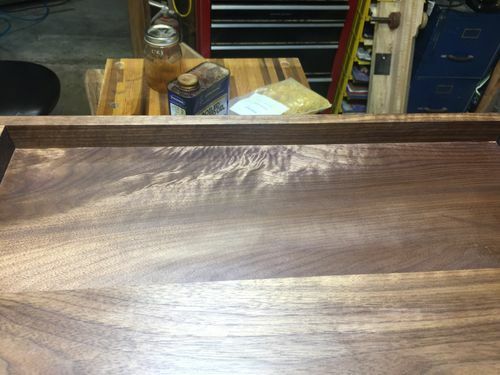 Floating Walnut shelves for a buddy’s wife. I didn’t want to deal with expansion so I cut of the excess length and bookmatched the end grain. 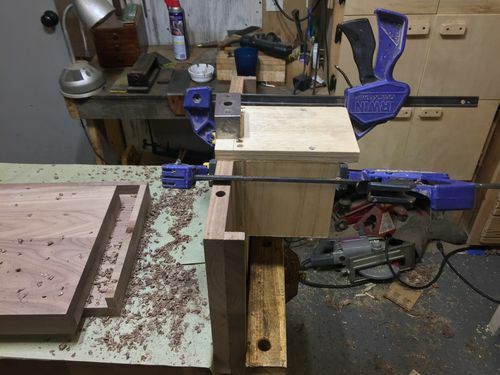 Made a little jig to drill for the brackets. Made another to routerize the mortise. Showed her some finish samples. She went with BLO, amber shellac, and whatever urethane I had in the shop. Spar I think. JPW and 4/O steel wool to knock it back to a satin and done. I put a 6-32×1/4” set screw under each bracket to prevent racking and pullout. Worked great. Glued some strips in after installation to cover the bracket. Forgot clamps. Books will do. Came out ok. Would’ve been better if the wind didn’t blow them over and let them smack the ground but I’ll tale what I can get. Think I’m going to invest in a LA smoother for endgrain after this one. Smoothing a bunch of endgrain with a 60-1/2 kills the hand. Thanks for looking. May the force be with you. Very nicely done, love the grain…. Hey Andy, hope you are well bud. Thanks much, had a rough start to the year, which included some back surgery, but doing better now, and working in the shop again…. BTW on the LA smoothing plane, especially considering end grain, I just picked an HNT Gordon 55 Try plane, and it’s fantastic on tough grain and end grain because it’s bedded at 55 deg, but has a tote, like a Stanley. Flip the blade and it’s a scraper! 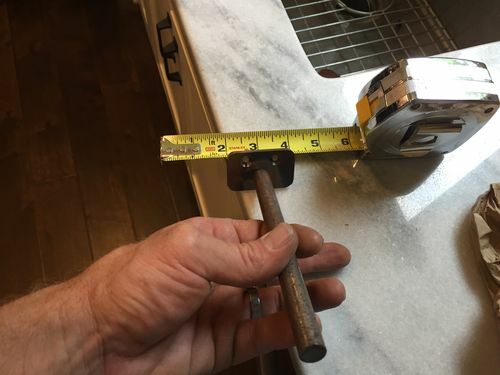 He makes them in a Jack and a smoother also…..plus do a YouTube search for HNT Gordon and watch his video on LA bevel discussion, it’s worth your time even if your not interested in his planes. Very nice work. I love that grain. I think it’s time to do a little routerizing myself. Good to hear Andy. Will have to check those out. Good stuff Fridge. 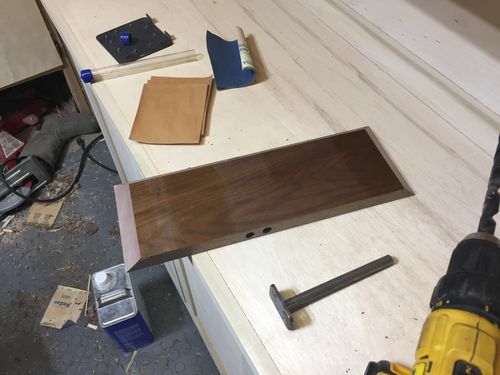 Love some nice Walnut! 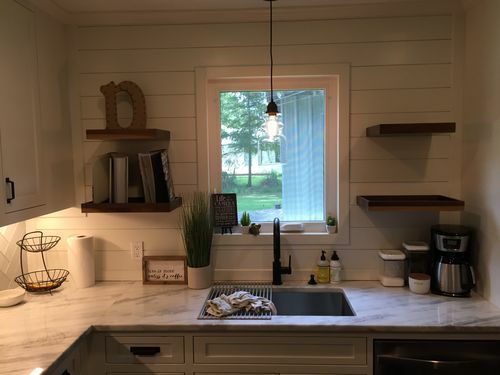 Very nice, love the Walnut. 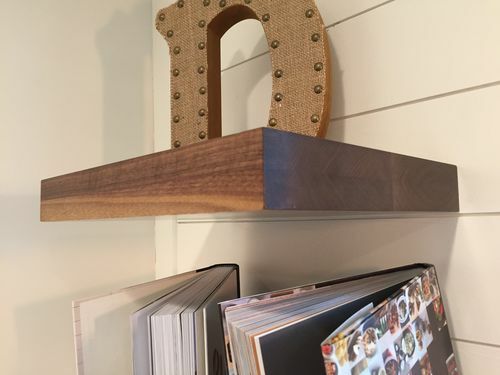 You did a very nice job on these shelves. Congratulations!